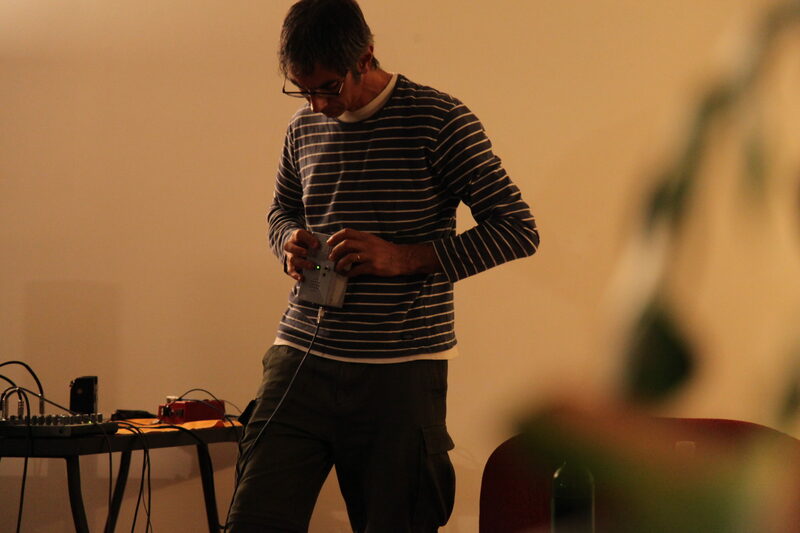 Rafael Toral clutches a compact electronic box beside a wire-festooned table of similarly peculiar devices. 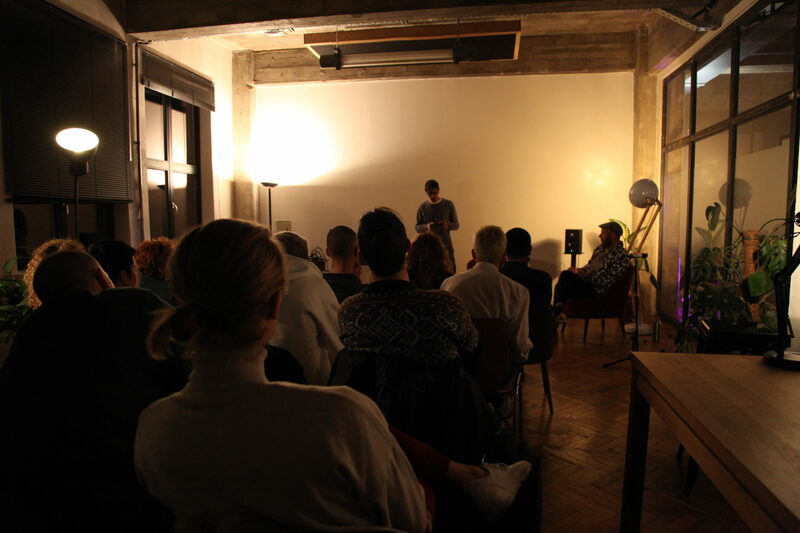 The guests of our latest On the Couch session have little idea what to expect from his imminent, intimate demo. Well, other than to have their heavy Monday-evening eyes pried open by something extraordinary. Dramatic movement follows, including the rapid gesticulation of fingers and thumbs atop the unassuming little box. Unassuming because the sound it creates, through Rafael’s emotive manipulation, is nothing short of otherworldly. The same goes for the two other instruments he chooses to demonstrate. In the space of 15 minutes, the audience is met with mechanical jungle animal calls, melodic microphone feedback, from-the-grave Jimi Hendrix, chaotic alien rhythms and, disconcertingly, warped bleeps not dissimilar to the theme of CBBC’s late-’90s game show 50/50. Rafael’s familiar-but-strange, meticulous-but-free sound is a challenge to describe – even for himself. That’s because it’s less about the brain and more about the body; feeling over thinking. 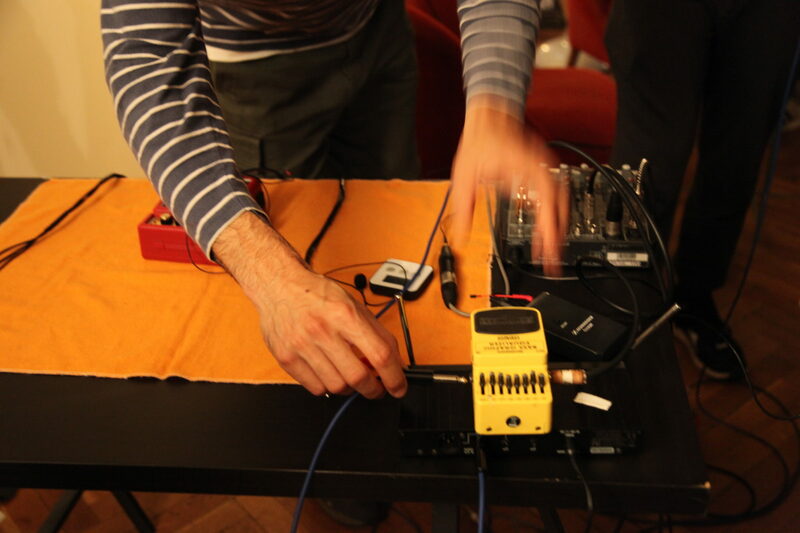 Shifting the emphasis of electronic music from technology to the musician, the innovative composer and performer’s projects explore silence and space through decision-making and physical gesture. As well as an impressive history of solo and collaborative performances, the Lisboan has also had many years’ experience working in public broadcasting as a recording engineer and TV sound designer. Hosted by Electronic Music Production & Performance lead Eliad Wagner, the session discussed in detail Rafael Toral’s very unique approach to sound design and performance, including instrument design and electronic music philosophy. Here are all the things we learnt from the unforgettable evening. Listening to Rafael perform, one of the first questions you find yourself asking is, ‘Where on Earth – or the universe – does this music come from? Where did he even begin?’ Perhaps surprising to some, the musician has a classical background and formally played guitar and ambient drone music for 15 years. So what changed? Rafael realised that established musical conventions and traditions limit creativity. “I wanted to start from scratch and not carry the culture that comes with guitar,” he revealed. “All the history and technical and cultural baggage that comes with an instrument; I wanted to play instruments that didn’t have that.” Baggage is the last thing you’d associate with his compact touring collection of microphones, oscillators, modulators, amplifiers, circuits and wires. Rafael’s words were a welcome reminder, however, that an artist’s passion to create is everything. In the long run, the easiest or most lucrative route is not always the best one. After all, the creative path is never linear. And don’t call Rafael’s music experimental either – or the opposite, composed. “My main line of work and development is how to make music with an instrument that is not entirely controllable,” he said. “At the same time, I want to be intentional and conscious. Which means that it’s not experimental and it is as least improvised as possible – which doesn’t mean it’s composed.” We learnt that his technique is more about developing a vocabulary for each instrument, which is deliberate, but by no means fixed. Talking of the stomach, Rafael revealed that even what he just had for dinner can influence the sound he creates. “Sometimes it brings me up, sometimes it really brings me down.” From time spent over Japanese food to a cheap pizza or sandwich, food affects how he feels, in turn affecting the music. It goes back to Rafael’s emphasis on the body over the brain, and its reaction to the environment and setting. “What happens depends on what is happening within the room. How the PA sounds, how the audience is reacting. It’s very sensitive, there are a lot of different parameters,” he explained. Eliad pointed out that electronic musicians often struggle to find a relationship or connection to their instruments, for the simple reason that electronic music can ‘play itself.’ “Some people spend their whole lives trying to bridge a certain distance with an audience just because it’s always a bunch of gears,” he remarked. The living nature of Rafael’s performances and the tangibility of his instruments deconstruct that barrier. For one, his sounds certainly can’t play themselves; it is his body’s interaction with the technology that creates the music. This was an important takeaway. 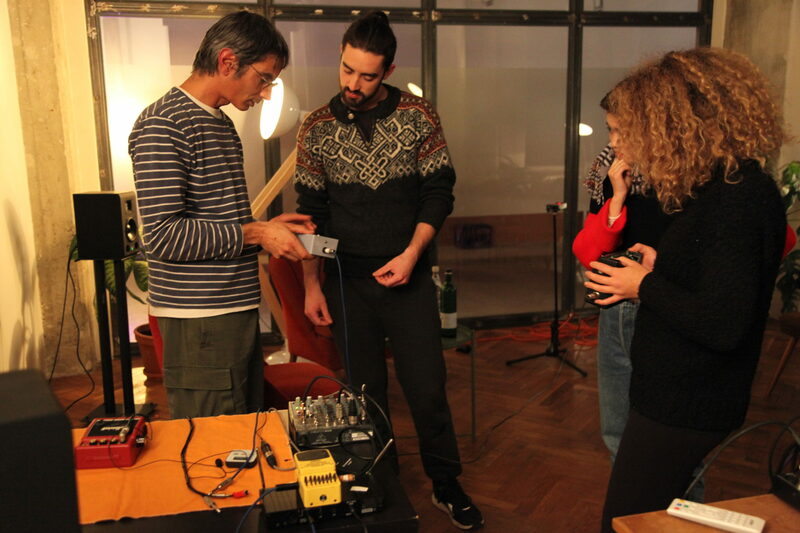 Whether or not the session’s attendees were inspired to go out and create their own instruments, they could certainly feel closer to the technology by approaching it in interesting new ways. You can’t reinvent the wheel, but you can reinvent the jog wheel. Follow Rafael Toral on Facebook, Twitter and his website. More from Guest Sessions: Legendary DJ Jonty Scrufff on letting your mind roam free.